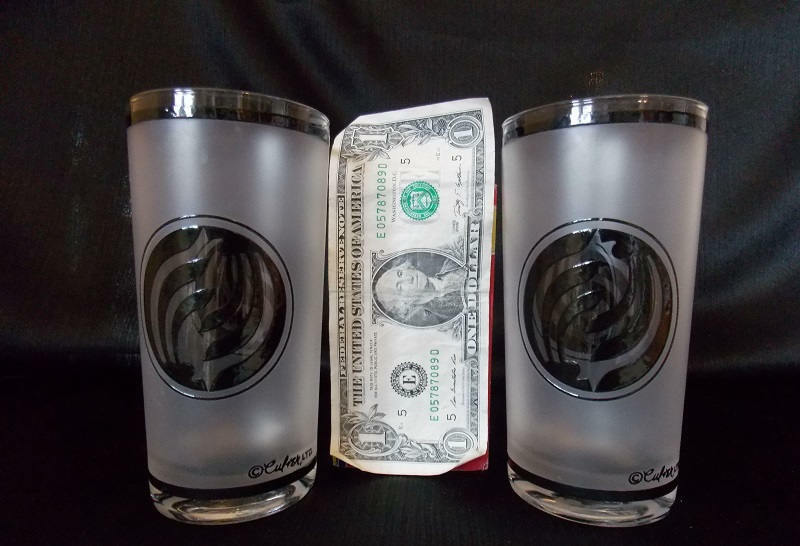 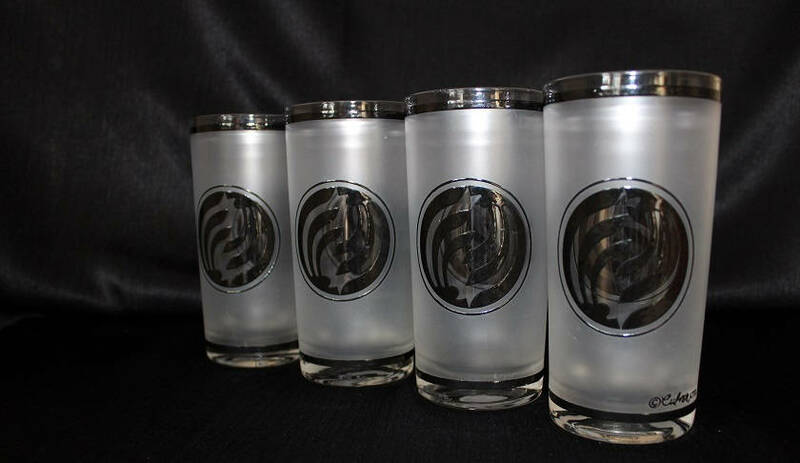 A lovely set of Culver tumbler glasses Kamon Crest which features an overall frosted background with a black line circling at the top and bottom framing the frosted section. 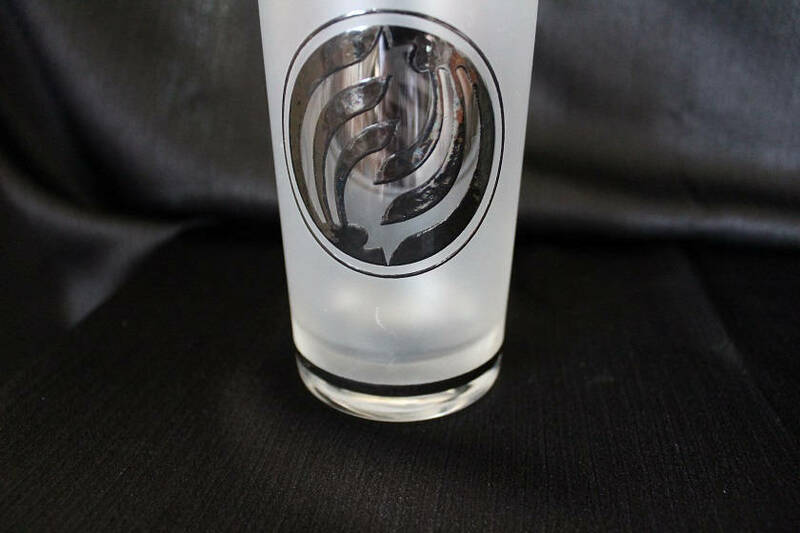 There is round, black geometric design against the clear glass which appears on both sides of the glass. 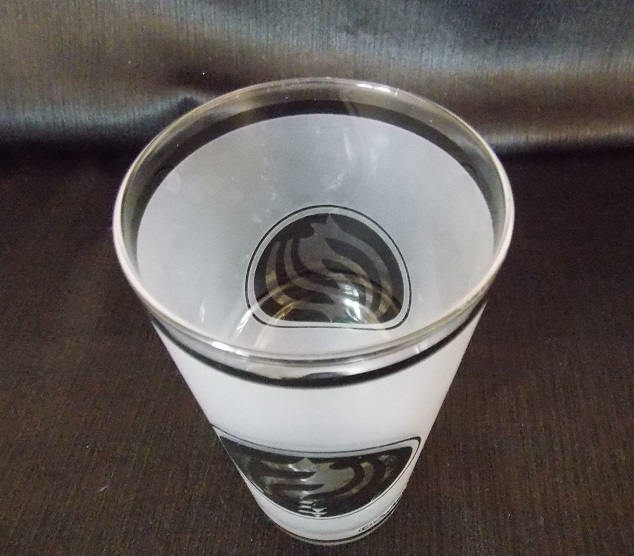 The base and rim are clear. 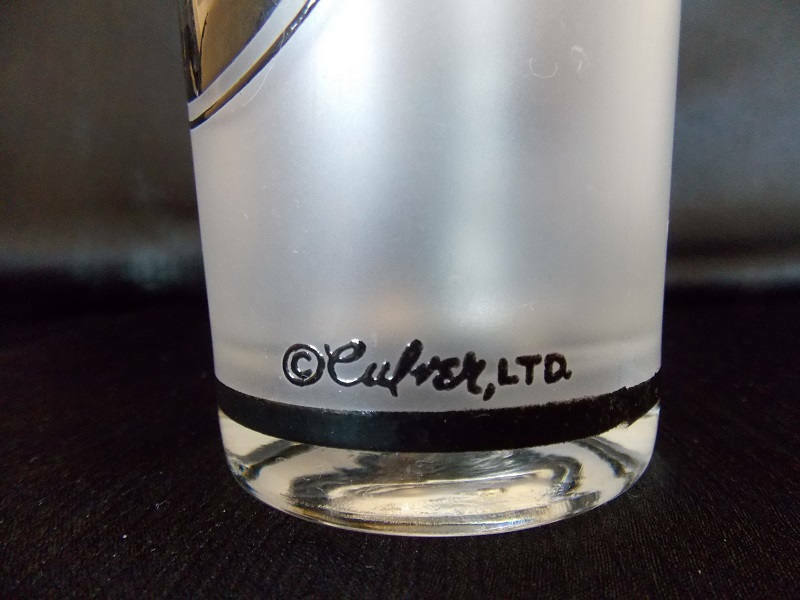 These glasses are signed "Culver LTD" in script.